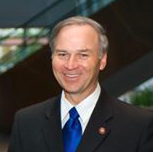 Congressman J. Randy Forbes (R-VA) has an unpaid Press Internship position available for the 2015 Fall session in his Washington, DC office to begin in September. Duties will include writing, compiling morning clips, updating press lists, monitoring news coverage, social media and website updates, drafting press releases, blog entries, as well as answering telephones and greeting visitors, collecting constituent information, and other general office tasks as assigned. Candidates should be professional, possess strong writing skills, and have a working understanding of the news cycle. Interns are an important part of the office and are given significant opportunities to learn and grow in a proactive, detail-oriented office. Must be highly motivated, self-starter, detail oriented, and possess excellent organizational and communication skills, a strong work ethic, a positive attitude and have the ability to manage multiple tasks on a deadline. The ideal candidate will be a college or graduate school student with a background or interest in journalism or communications. Virginia ties preferred, but not necessary. Please email a resume, cover letter and two writing samples to VA04Interns@mail.house.gov with “Press Internship” in the subject line. No phone calls please.